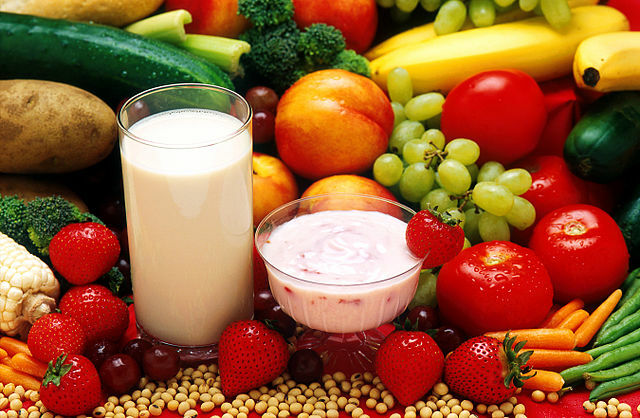 The US News and World Report have recently announced that the Mediterranean diet is the best diet for the year 2019. The report also awarded it with the first spot in a series of sub categories, including best diet for healthy eating, best plant-based diet, best diet for diabetes and easiest diet to follow, as reported by CNN. That the Mediterranean diet is special doesn’t come as a surprise: in the end, it has been part of the UNESCO Intangible Cultural Heritage since 2013. Read on to understand why the food of the Mediterranean is considered so good for your health, how it compares to traditional American food and why eating Mediterranean is more than a diet, it’s a real lifestyle. Italian cuisine is a mediterranean type of cuisine. This article will give you some information about the basics of healthy Mediterranean cooking, as well as provide a comparison with a typical American diet. 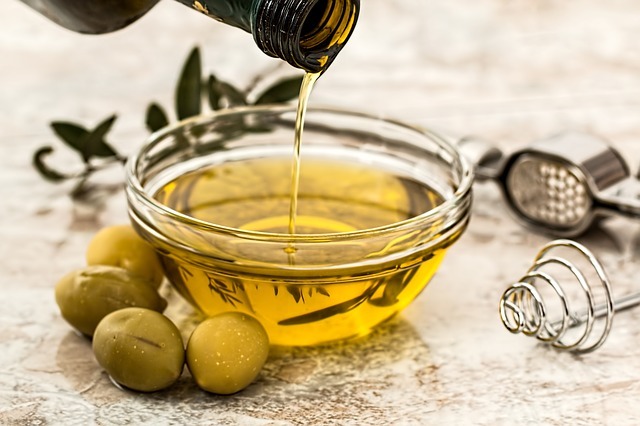 Before beginning, you must consider one thing: a Mediterranean diet is not only Italian, as it is typical of the entire basin of the Mediterranean Sea. As a consequence, it embraces the cuisines of places as far as Spain and Israel, Syria and Greece, North Africa and Italy. Because of this variety, both cultural and geographical, Mediterranean cuisine can be quite different from one area to another: for instance, in Italy we like to use pasta as the basis for our main meals, and as main source of carbohydrates. In the Middle East, on the other hand, chickpeas and barley would be the staple of most dishes. At the same time, there is a common substratum made of fresh ingredients, olive oil and particular food associations that join at the root the way people around the Mediterranean cook: there is a heavy reliance on complex carbohydrates, fresh vegetables and fruits, with an accent placed on fish consumption as opposed to meat, and the use of olive oil instead of butter as main form of condiment. It is pretty clear how these characteristics make a typical Mediterranean diet very different from a Continental one (that of central and northern Europe), which revolves around red meat, potatoes and butter. On this particular note, it is interesting to mention the fact that Italy, especially in the north, does present recipes and culinary habits that can be very much considered “continental:” this is because of the presence of the Alps, and the fact that the climate of our northern regions is, at times, closer to that of central Europe than that of the south of the country. If you think the Mediterranean diet is a recent invention of dieticians, you’d be mistaken. The food of the Mediterranean has been important to its societies since the inception of civilization. Favorable climate and the presence of the sea, which provided both food and an easy way to communicate and trade with other regions, helped and supported the birth and growth of society. At the core of the way our forefathers ate (think of the Greeks, the Aegyptians, the Israelites and of course, the Romans) was the Mediterranean Triad. The triad was formed by three, essential elements: olives, cereals (barley and spelt more than wheat) and vine, as well as their products, oil, bread and wine. Supported by fish on the coast and dairy products in the hinterlands, this type of nutrition evolved throughout the centuries and became what is today known as Mediterranean cuisine. Always according to the American Heart Association, a Mediterranean diet may be high in fats. Truth is, however, that the fats abounding in Mediterranean cuisine are monounsaturated and therefore healthy. If it is true that the Mediterraneans have become increasingly obese, it is also true that the real culprit is not the Mediterranean diet itself, but rather the increase in consumption of processed foods and sugars, a widespread phenomenon all around the world. The Mayo Clinic seems to be better informed about it, and presents a typical Mediterranean diet as the perfect choice to keep our heart healthy. That the Mediterraneans eat well, or at least better than others, is evident from the data collected by FAO, the Food and Agriculture Organization. According to it, Italians consume 140 kg of fruit and 180 kg of vegetable per capita a year. Americans, on the other hand, only consume 113 kg of fruit and 129 kg of vegetables, although the worst are the Brits with only 91 kg of fruit and 89 of vegetables consumed per capita in 12 months. When people talk to me about going to an Italian restaurant, they mention pizza or pasta (by the way, Alfredo sauce is unknown in Italy). Only high end Italian restaurants in the United States offer a variety of vegetables. It is even rarer to find fruit being served as dessert. Salad is often served with pre-packed dressings that Euro-Italians have never seen, and that cannot compare in quality and taste to a dash of fresh olive oil and mild vinegar. Some of these dressings are so high in fat that they eliminate the benefits of eating salads. Italian-American cooking lacks the essentials of a good, old fashioned Mediterranean diet. Salads and vegetables are overwhelmed with sauces and cheese. And even Italian classics like eggplant parmigiana, are heavier in America, where the eggplant is usually deep fried and smothered with fatty cheese. Even pizza is cooked differently in the United States. Mediterranean (Italian) and American Recipes: how do They Compare? This is a sauce heavy in fats, which makes it also hard digest. It’s easy to see how light this sauce is: made up with fresh ingredients, the almost totality of its fat content is that of the extra virgin olive oil. Parmesan is a very healthy type of cheese, rich in iron and other minerals and, unless you cover your pasta with it, it’ll only add healthy proteins and minerals to your meal. Pizza and pasta do not have to be cooked like a Kamikaze’s last meal! Both can be quite healthy and any significant grease or fat can be avoided, if they are cooked properly. 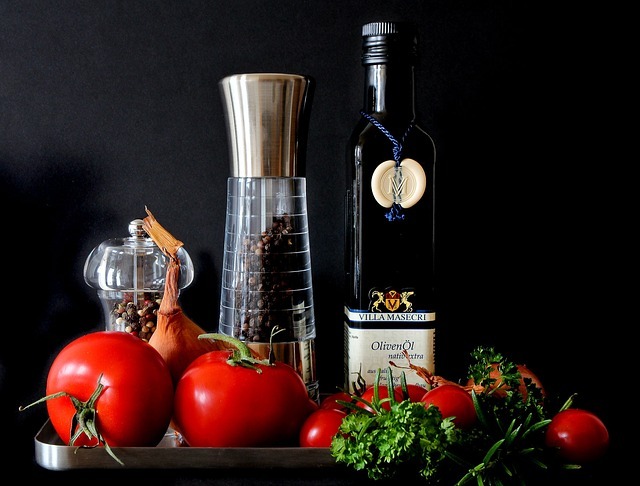 What Should We Eat if we Decide to Follow a Mediterranean Diet at Home? Eat less than 100g of meat a day. 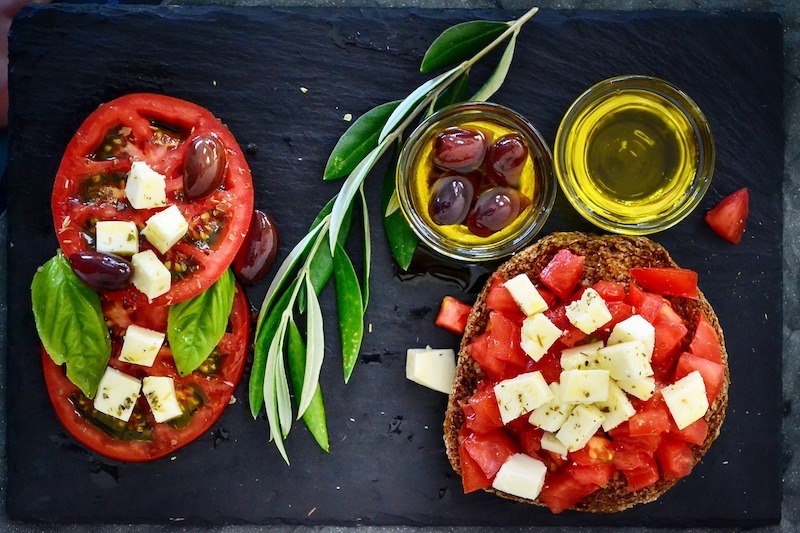 What does it Take to Create an Authentic Mediterranean Diet in the USA? Try eating pasta with a simple sauce made with fresh tomatoes, or tomatoes and clams (pasta alle vongole) or ragù sauce (ragù in Italy is not a brand, but a type of sauce made with meat and tomatoes). Avoid Alfredo sauce, and other cream and butter based sauces. In Italy, cream-based pasta sauces have been out of style since the 1980s. Avoid bread sticks that come with American Pizza, fresh bread is healthier. 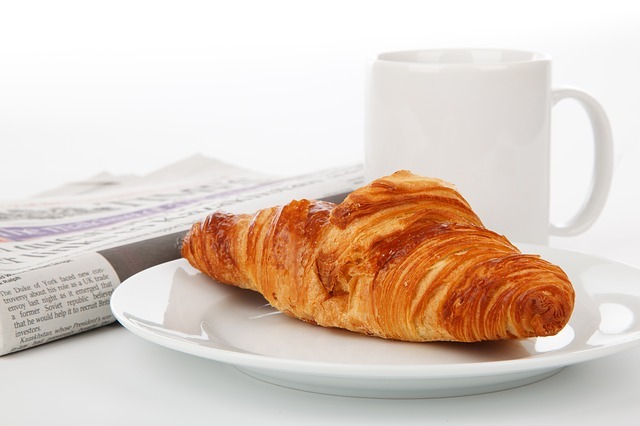 An Italian breakfast is frugal: it usually consists of cappuccino or coffee and milk, with a cornetto (a type of croissant). This is often consumed on the go, at the café, just before getting to work. When having breakfast at home, Italians have coffee and milk and maybe one or two light cookies, or one or two slices of bread with jam and maybe some fresh fruit. An Italian ‘prima colazione’, or breakfast. Freshly squeezed orange juice is becoming more popular. I have heard in the US that this type of breakfast is unhealthy, and that you should eat a decent sized energy breakfast to start out your day. This may have been true seventy years ago, when people would go work in the fields and a nutritious breakfast was vital. At that time, breakfast was a more conspicuous affair in Italy, too. Today, if you sit down in an office for eight hours straight you may think twice about letting all the fat from a heavy breakfast of egg and bacon stick around your hips. In the USA I have seen people eating eggs and steak for breakfast. A high fat breakfast is different from a high energy breakfast. Fat makes your body slow down, and takes longer to digest. Grains give high energy without all the excess fat. Each of us use a certain quantity of calories to stay alive, to regulate body temperature etc. If we take in more calories than we burn, then we get fat. Cereal, toast and fruit are fine for breakfast, so the Italian breakfast is not so far off. In Italy, snacks are usually a very light affair: coffee, cappuccino, maybe a cornetto, tramezzino or a pizzetta. Fresh fruit and yogurt are also very popular options. 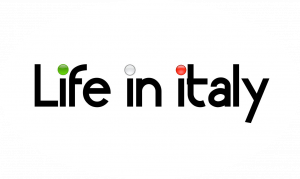 Lunch in Italy usually consist of a single dish, either pasta or meat and vegetables, plus some fruit and the ubiquituous coffee. For lunch, my mother either cooks pasta with tomato sauce or makes a salad. Sometimes she bakes fish in the oven with potatoes. She might make a light meat dish with a tossed salad or vegetables. All followed by fruit for dessert. 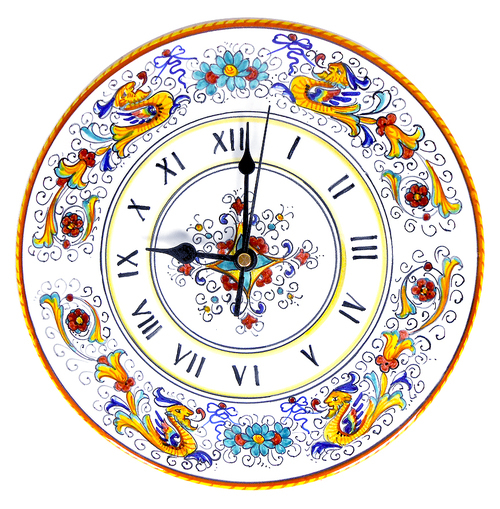 In a modern working family, dinnertime has become the main meal of the day. Not eating too late, giving time to digest before going to bed is important. I usually cook a one-course dinner with salad or vegetables. Sometimes I make “pasta e fagioli” (pasta with navy beans) or a soup with fish and vegetables. During the weekend, I might have friends over and cook a two course meal like pasta or rice with meat or fish and salad or vegetables and fruit. According to a 2002 FAO study, “the high and increasing consumption of sugars and sweetened drinks by children in many countries is of alarming concern.” It has been estimated that a glass of sugar-sweetened drink per day increases the risk of becoming obese by 60%. Most of the evidence relates to carbonated drinks, but many fruit drinks and cordials are equally sugary, and may promote weight gain if consumed in large quantities. The evidence against high intake of sweetened drinks in promoting weight gain is considered moderately strong. Italians consume a limited amount of carbonated beverages and prefer mineral water to accompany their meals. Unfortunately, the Italian diet is changing for the worse. According to new studies, in Italy kids are getting fatter. This is due to an increased intake of proteins and fatty foods, as well as to the fact that children tend to spend more and more time on front of the telly or playing videogames and have become sedentary.